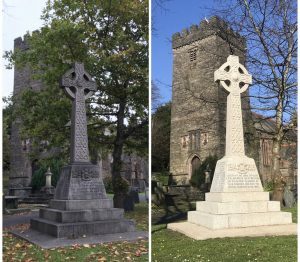 The Grade II listed war memorial at the Parish Church has recently been restored to its former glory. The work was completed by B.M.Phillips Memorials of Llanelli who carefully cleaned the granite Celtic cross memorial which is dedicated to the brave men of the 4th Battalion The Welsh Regiment who lost their lives during the First World War. 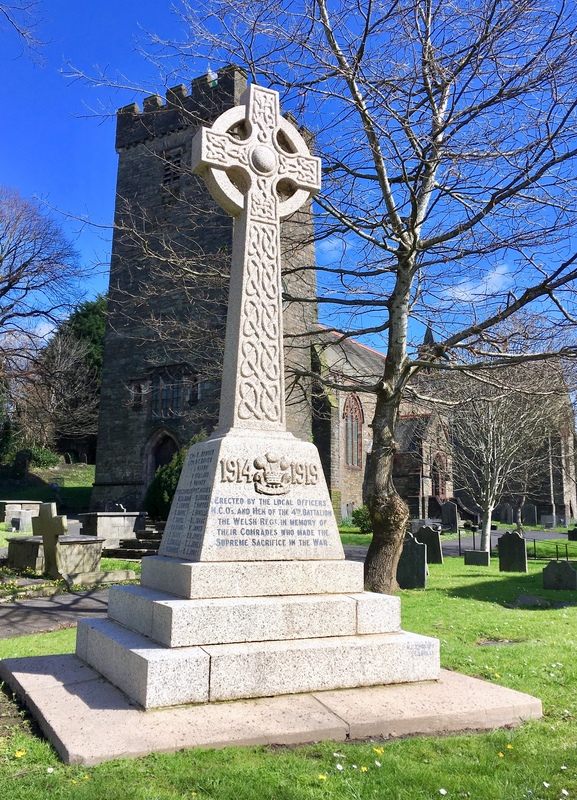 The work was organised through a partnership between the Parish Church and the Ex-Servicemen’s Association. 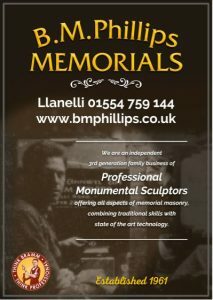 It was funded and overseen by Cadw. 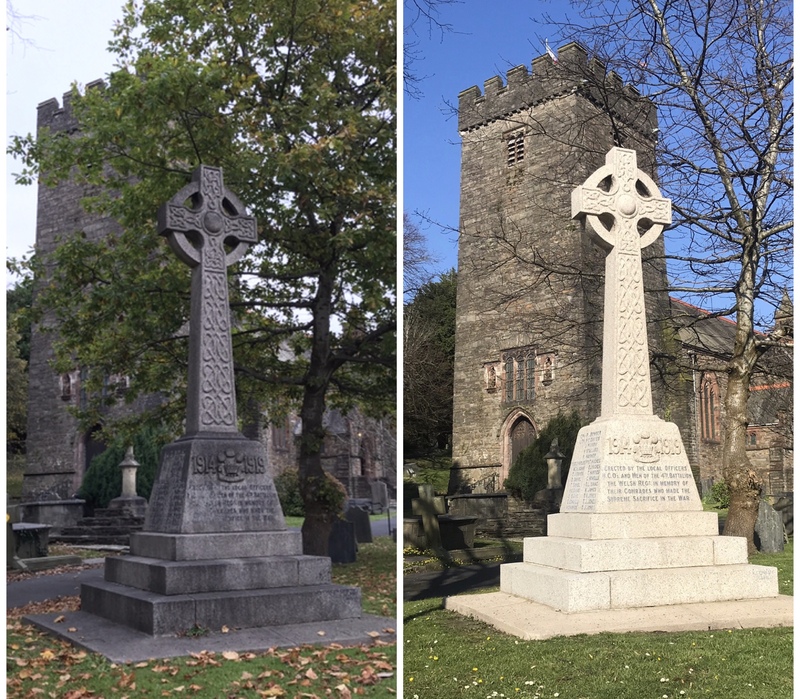 The Parish Church and the LMA would like to express its grateful thanks to B.M.Phillips Memorials, the Ex Servicemen’s Association and Cadw for their help with this project. 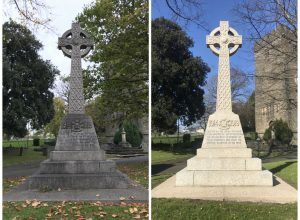 This was posted on 26 March 2019 and updated on 1 April 2019.